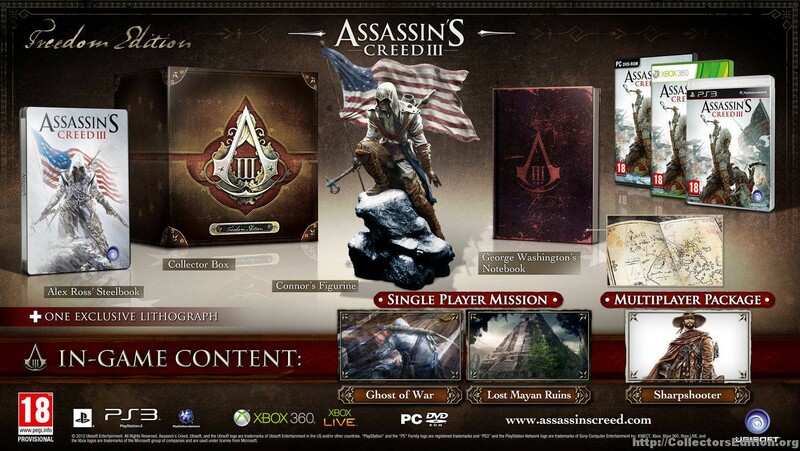 Jason G wrote in to inform us of details of three confirmed European CE releases for Assassin’s Creed III. 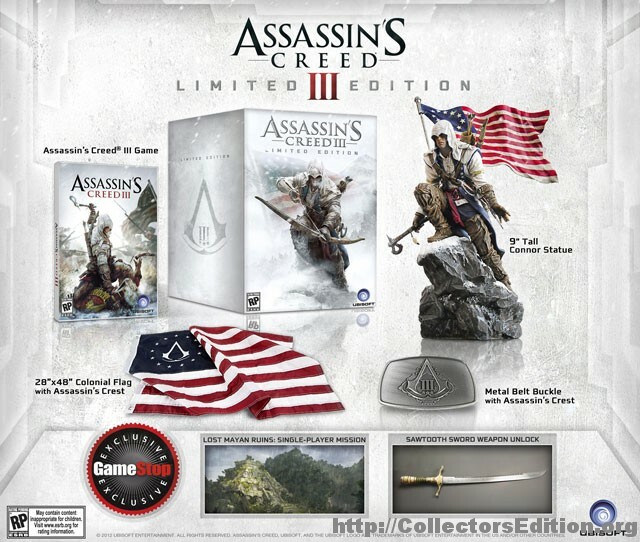 The Freedom Edition, includes Alex Ross’ SteelBook (similar in design to the North American pre-order bonus), “George Washington’s Notebook”, a statue of “Connor” and some DLC content all wrapped up in a good sized decorative box. The Join or Die Edition seems to be a slightly smaller package which replace the statue with a “Join or Die” medallion. It also lacks the SteelBook and some of the DLC Content. Finally there will be a Special Edition which seems to come in a standard game case with alternative cover art and the inclusion of an “exclusive” piece of single player DLC Content “A Dangerous Secret”. Those who complete this DLC will also unlock the “Flintlock Musket” weapon. 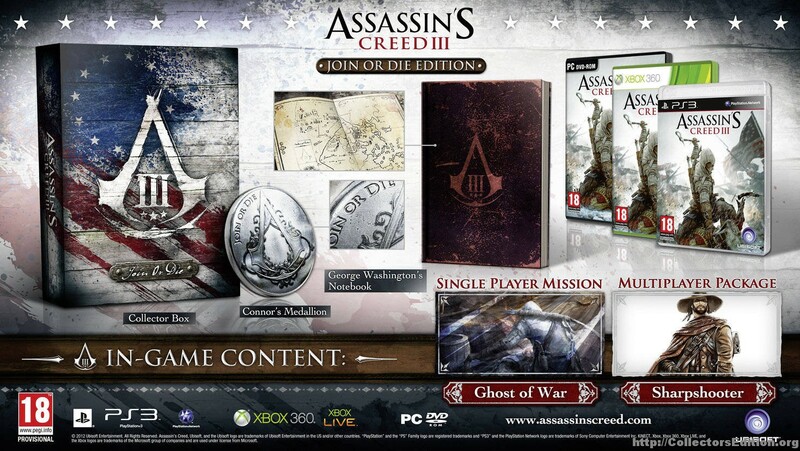 The Freedom Edition has an RRP of £80 for PS3 and Xbox 360 and an RRP of £60 for PC, the Join or Die Edition has an RRP of £65 for PS3 and Xbox 360 and an RRP of £50 for PC. All of these will be released on October 31st of this year. No word yet on any CE releases for North America, if past Assassin’s Creed games are any indication the North American releases will be completely different than the European releases. Thanks to CE.o member Javius for pointing this out. 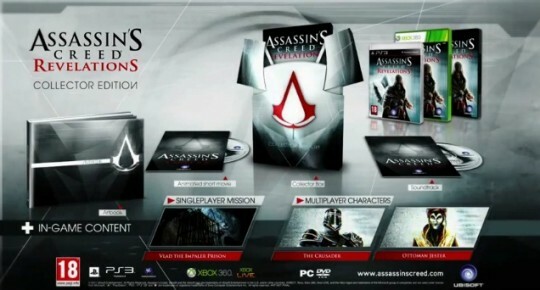 Ubisoft announced during its press conference at E3 today the Assassin’s Creed: Revelations Collector’s Edition. 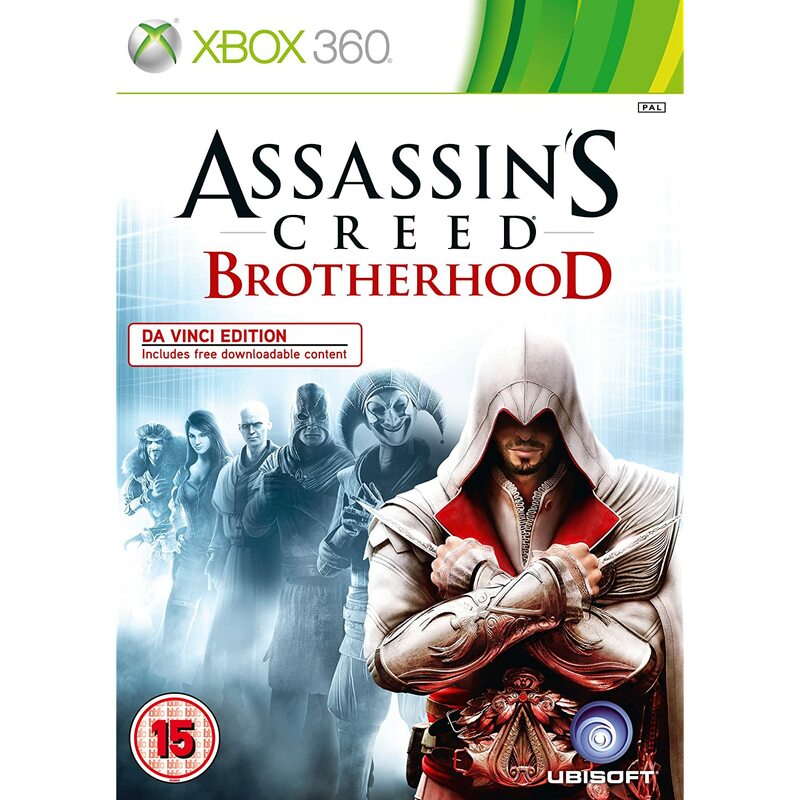 Those who purchased the Codex Edition of Assassin’s Creed Brotherhood have just lost a little something that makes that release special. Ubisoft announced that they will be offering “The Trajan Market” content free to uPlay members; which is pretty much anyone with a Ubisoft game released in the last year and an internet connection. While the Codex Edition still has a lot more going for it in terms of collector’s appeal, it’s always disheartening when you spend the extra money up front for bonus content only to have it given away to everyone after the fact. I will say that I do like the uPlay feature, if you haven’t signed up, it’s worth doing so. Basically you get to spend your achievement points on additional content. Of course this announcement comes after i just blew all of my U points on some new Multiplayer characters and costumes for Ezio last night. 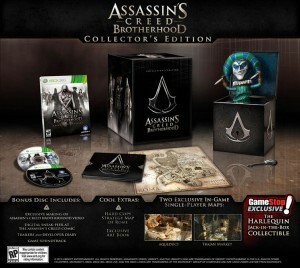 Destructoid has a video up showcasing an unboxing of the upcoming European CE for Assassin’s Creed Brotherhood. Somewhat different than the North American version of the CE but here’s hoping all will look as nice. 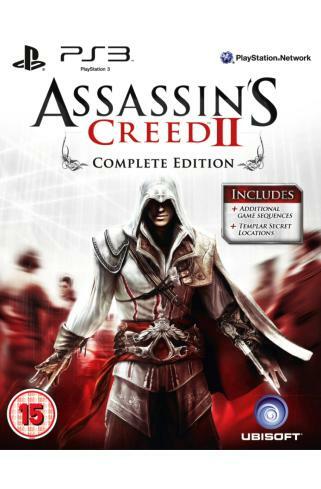 While those in Europe were already granted a CE release for the upcoming Assassin’s Creed Brotherhood, those of us in North America were left out in the cold… until now. 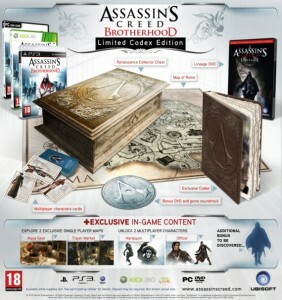 A Limited Edition of Assassin’s Creed Brotherhood has been announced for North America and is quite different from the CE that Europe is receiving. Included is the typical bonus disc with behind the scenes content, an artbook, a fancy case, and the always welcome physical game map, but the real treat is the included jack-in-the-box featuring a character from the game. The interesting thing here is that there are different jack-in-the-box characters depending on where you buy your LE. GameStop will be selling them with the Harlequin character while all other retailers will have the Doctor. Assassin’s Creed Brotherhood Limited Edition will be released on November 16th for 360, PS3, and PC at a price of about $100.